When I first came to campus, I had to meet new people. As a freshman, this can become a tedious task, and I quickly became overwhelmed by the new names that seemed to fly past me. It was stressful at times, but the opportunity to get to really know people is always a treat. Generally, the small talk about where you’re from and what you like often leads to a conversation about favorite sports teams. My answer to this question not only seems to confuse people I meet, but even perplexes myself. I am a Los Angeles Clippers Fan. In 2010 the Los Angeles Lakers had just won their second straight title. Meanwhile, the Clippers had gone 29-53 in the regular season. My friends bragged about how amazing Kobe Bryant was. I, on the other hand, kept quiet and talked about Chris Kaman and Baron Davis only when I was prompted, and it felt depressing. Perhaps I had to be different, perhaps I hated Kobe, or perhaps none of these things mattered. The truth is I could never fully explain to people why I latched onto the Clippers and not the Lakers, but regardless I knew nothing would ever convert me, I simply could never root for the Lakers. What I did not know is that the whole Clippers franchise was about to change, as one player who had been sidelined would finally get the chance to play. His name was Blake Griffin. I still remember the first time I saw him: Blake Griffin was just a sophomore at Oklahoma in the 2009 NCAA tournament, and in the second round they faced the tenth seed Michigan. The first half of the game remained close, as both teams struggled to really hit the ground running. However, in the second half, Blake Griffin took over and squashed any chance Michigan had. I watched, mouth ajar, as he flew past people as if they were stuck in time, jamming the ball with a ruthless tenacity. While Oklahoma would lose the championship game that year, his performance in the tournament impressed scouts and pundits alike; he was continually lauded as a potential first round pick. The Clippers, to the surprise of no one, won the draft lottery and decided to take Blake Griffin first, only to see him injured for his entire first season. It was a depressing outcome, it seemed some weird and twisted Clippers curse was rearing its ugly head. Then he debuted and in his first game he amazed, going onto start his NBA career with a double double. He would go onto win rookie of the year by a landslide decision. A year later, Chris Paul joined the team and Lob City began. 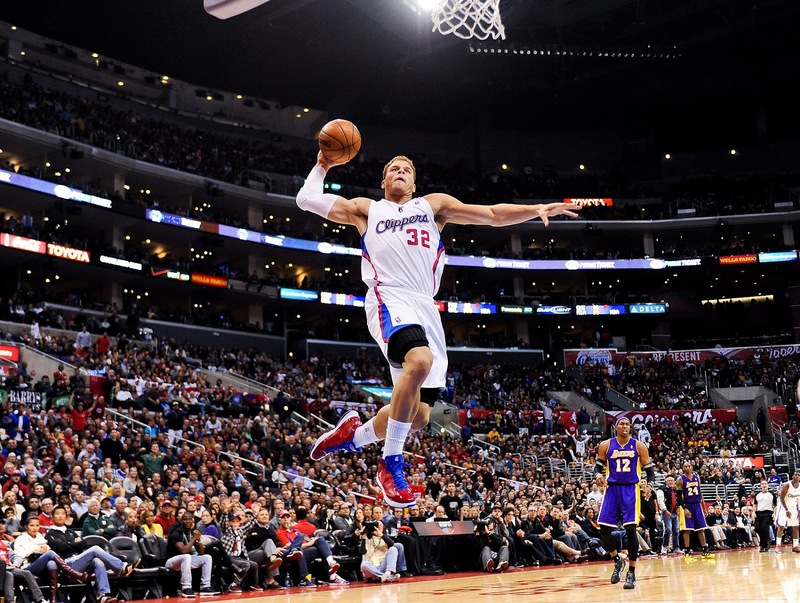 Blake, you were everything that made watching the Clippers exciting, and all I will ever be able to say is thank you. You turned this franchise from a depressing soap opera into a flashy musical, and the franchise you built will live on beyond you because of your hard work and commitment. Blake became my hero, the knight in red and blue armor I absolutely adored watching. His effort never ceased, regardless of the score or the how much time was left on the clock. He represented everything I wanted in a player: someone who was consistent, hardworking, and would never give up regardless of the score. He dunked over cars and he dove into stands. His commercials won over our hearts, and his charm made him a lovable character. He brought something to the Clippers that they never had before he arrived, a bona fide superstar. While the Clippers were a consistent challenger in the Western Conference, they could never break through and get to the Western Conference Finals. New management came in this year and ultimately retooled the team. They traded Chris Paul to the Houston Rockets, and Blake Griffin was a free agent with some aspirations to leave. He had every right to do so, he had given everything to the Clippers, and he had every right to turn around and pursue a title. He decided to stay, however, and while his contract did amount to plenty, it was admirable that he chose to remain with the franchise. I was so proud we would get to keep Blake for what seemed as the foreseeable future. Then, that same new management traded him to the Detroit Pistons, breaking my heart. The truth is that franchises must make financial and business decisions; the Los Angeles Clippers would end up owing plenty in luxury tax had they kept him, meaning those in the front office probably felt this was a “good business decision.” I do not necessarily disagree, but it feels particularly hard to say goodbye to someone who meant so much to me. Franchises make decisions that they think will benefit them in the future, and the Clippers had every right to trade him if they felt it was best for their bottom line. Regardless, it will never feel good, as he was so important to what the franchise is now. All I feel now is a pain, one that gnaws at me everytime I see Blake in a different uniform, and everytime I realize “Lob City” is no more. It hurts, the team that I grew up with is now in tatters, and it tears at my soul every time I watch and try to come to some understanding. Blake, you were everything that made watching the Clippers exciting, and all I will ever be able to say is thank you. You turned this franchise from a depressing soap opera into a flashy musical, and the franchise you built will live on beyond you because of your hard work and commitment. Thank you for everything, and it is only fitting that you now follow me too my new home in Michigan. I hope your new home treats you as well as it has treated me, and if you see a kid wearing an old Clippers shirt in a new Detroit arena, feel free to say hello.